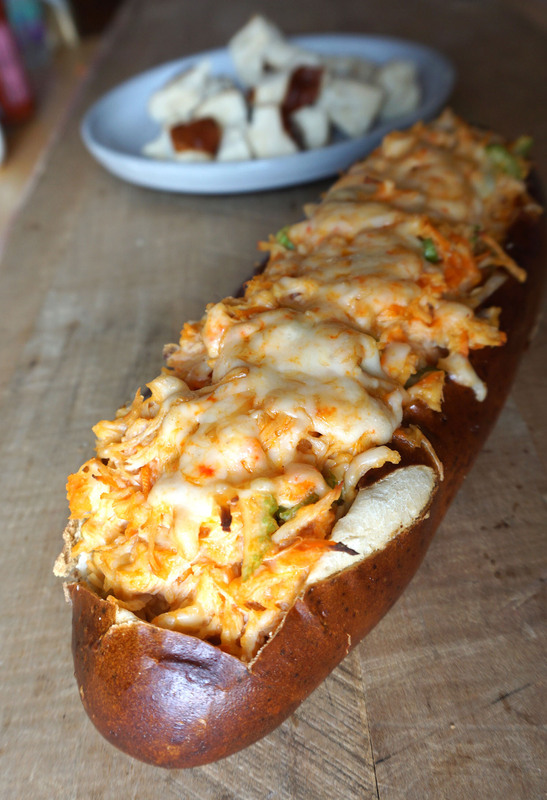 Yup, I have once again made a recipe using this wonderful pretzel bread from Whole Foods. 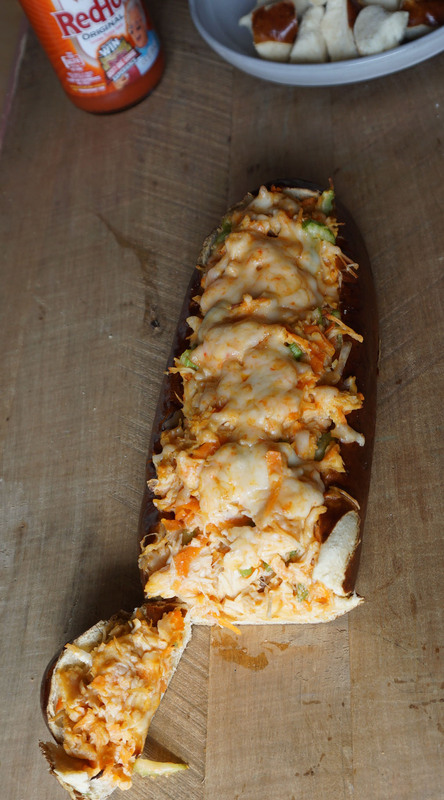 But this melty buffalo chicken concoction would be great in any loaf of bread that you can stuff things into. Isn’t stuffing things into bread great? 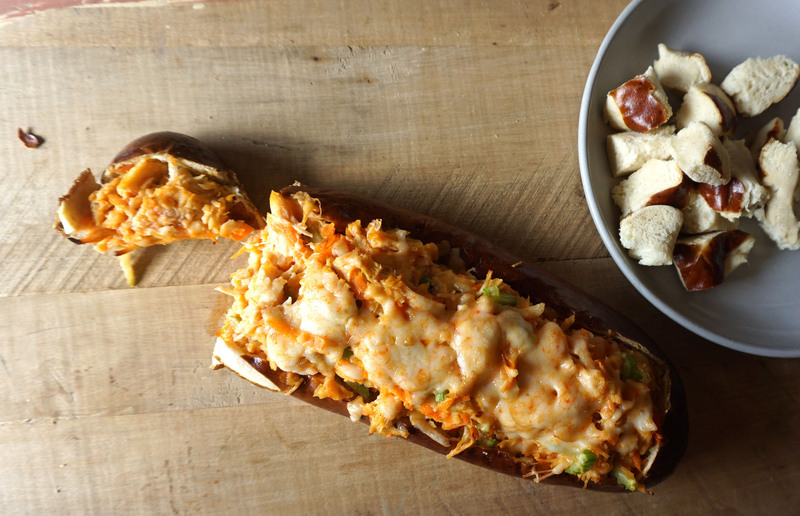 In a bowl, mix the rest of the ingredients (besides the ½ cup cheese) until fully combined. 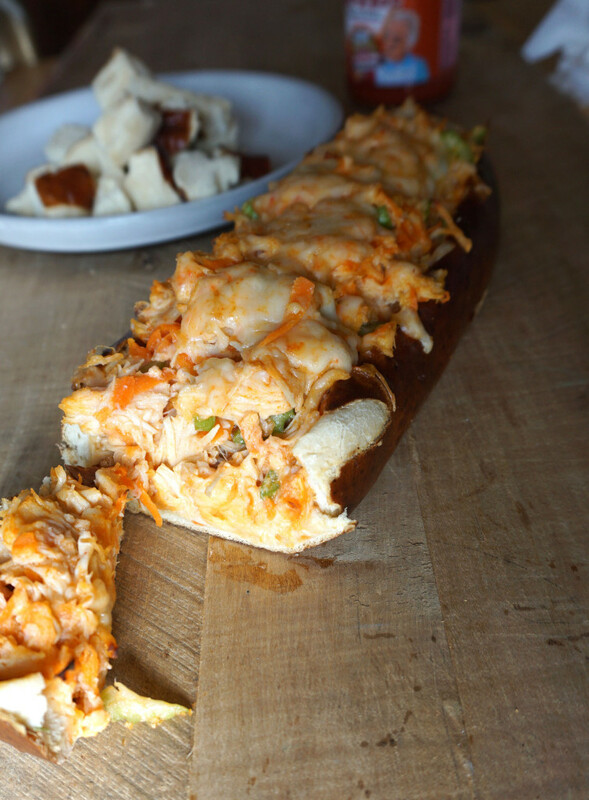 Fill the loaf of bread with the chicken mixture and top with the rest of the cheese.